Click Here > To Open and Close Bio. Dr. Steven C. Chang was born in South Korea and came to United States of America with all his family when he was 16, and is a founder of SC Dentistry, PLLC and Steven C. Chang , DDS PC. Dr. Chang has been practicing dentistry in the West Phoenix area since 1997. He practices Comprehensive Dentistry including Implant, Orthodontics, Periodontics, Cosmetic, Endodontics, Pedodontics, Prosthodontics and Oral Surgery. After Dr. Chang received a degree in Chemistry from the University of Texas at Austin, he worked as a production and research chemist at a high tech chemical company at Texas; he then received Doctor of Dental Surgery degree from the University of Texas Health Science Center at San Antonio (ranked #1 among dental schools in USA) in 1997. Dr. Chang is a LVI alumni (postgraduate Cosmetic Dental training), DOC-Sedation trained, certified as Gp Orthodontic clinician, Invisalign(Advanced) provider, Nobel Biocare-trained (Bronze member) surgeon, and he is a pioneer who introduced Lumineer and Snap-on-Smile with a few colleagues in the valley. He believes that dentistry has been evolved and advanced so much in the past decade, it is so exciting to provide patients higher quality and more comfortable dental procedures such as CEREC, 3D-CBCT Scan, various Soft/Hard tissue lasers, and computer guided Implant surgery. Dr. Chang is an expert in PINHOLE SURGICAL TECHNIQUE and an International Charter Member of Pinhole Surgical Technique (Gum Lift for recession and sensitivity). He and his family regularly attend Scottsdale Bible Church. 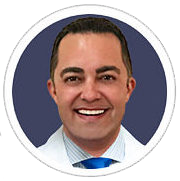 He is a member of American Dental Association, Arizona Dental Association, Central Arizona Dental Association, California Dental Association, American Academy of Orthodontics, and DOC Conscious Sedation. Dr. Phu Tran is a diligent and patient-oriented dentist providing care to his patients in the Scottsdale, Surprise, Phoenix, Goodyear, and Glendale, Arizona areas. Dr. Tran is bilingual, speaking English and Vietnamese. He received his dental education from the University of Southern California. Dr. Tran focuses on general dentistry and comprehensive care, in addition to cosmetic dentistry and performing smile makeovers. Dr. Tran’s nine years of dental experience is accentuated by his participation in continuing education training courses, including advanced endodontics, mastering molar root canals, oral surgery, traumatic extraction training, advanced cosmetic dentistry, sleep apnea and snoring, and advanced clinical periodontal surgery. He treats patients who are experiencing wisdom teeth problems, dental emergencies, and TMJ. He provides services such as whitening, Invisalign installation, fillings, crowns, and dental cleanings. In his spare time, Dr. Tran enjoys watching NBA basketball and college football games. He also enjoys cooking and volunteering at his son’s elementary school. Dr. Laura Sibrava grew up just outside of Chicago in Mount Prospect, Illinois. She attended the University of Maryland to study Microbiology and Dance. Being the only dancing scientist at the university, Dr. Laura returned back to Chicago to split her time performing with dance companies while working as a dental assistant in Oral Surgery and Orthodontics. In 2006, Dr. Sibrava returned to school to complete her Masters of Biomedical Sciences, followed by Dental School at Midwestern University, right here in Glendale, Arizona. After dental school, Dr. Sibrava worked on the Navajo and Apache Reservations, providing pediatric dental care to the Native American people of Arizona. Most recently, Dr. Sibrava served as the Chief Dental Officer for Hidalgo Medical Services and their eleven clinics throughout Southwest New Mexico. Dr. Sibrava is proud to have received service awards from Arizona Alliance of Community Health Clinics, American Association of University Women, Daughters of the American Revolution, and Junior Achievement of America. She holds membership with American Dental Association, Arizona Dental Association, American Academy of General Dentistry and American Academy of Implant Sciences. Dr. Sibrava prides herself on giving each and every patient quality and excellence, enhanced with a caring personal touch. Dr. John A. Ciciancola, D.D.S., M.S.D. In the last two and a half years Dr. John A. Cianciola practiced in Cottonwood and Sedona. In Northern Arizona, he took over two private periodontal practices, and he grew both practices by 100% of their original production. Currently, he is pursuing periodontal practice in Phoenix, AZ. For 14 years, Dr. John A. Cianciola was a managing partner at Cianciola & Beach Periodontal Group in Rochester, New York, where he treated patients in all phases of Periodontal and implant surgical care. While practicing at Cianciola and Beach Periodontal Group, John also spent 8 years working in an eight doctor general dental practice performing implant and periodontal treatment for their patients. He specializes in cosmetic procedures such as crown lengthening, soft tissue grafts, bone grafts, implants, sinus grafts, periodontal plastic surgery, facial esthetics, and laser treatment with LANAP. John’s clear communication helps build relationships with doctors, staff, and patients resulting in high case acceptance. Dr. Cianciola holds a Bachelor of Science degree in Management Science in Marketing (B.S., 1993) from SUNY at Geneseo, Geneseo, New York. He completed his Doctor of Dental Surgery (D.D.S., 1997) from SUNY at Buffalo, School of Dental Medicine, Buffalo, New York, and graduated with Thesis Honors and special recognition for Outstanding Clinical Research. Dr. Cianciola received his Certificate in Periodontology and Master of Science in Dentistry (M.S.D., 2000) from Case Western Reserve University, School of Dental Medicine, in Cleveland, Ohio. He pursued and finished his advanced training through the distinguished Misch International Implant Institute and Peter Dawson’s Center for Advanced Dental Study. John currently serves as a faculty member for The Misch International Implant Institute. He enjoys helping dentists become skillful in all phases of implant treatment. He has twelve years experience enhancing facial esthetics with Botox and dermal fillers. John loves making people smile confidently. Dr. Cianciola served on the Board of Directors for the Seventh District Dental Society and the Monroe County Dental Society for many years. In 2008 he was President of the Monroe County Dental Society, and in 2009, Chairman of the Board of Directors of the Monroe County Dental Society. Dr. Cianciola was on the Peer Review Committee and Professional and Public relations Committee for the County Dental Society. He formerly served on the Board of Directors for the Apollonian Dental Study Club and also led the organization as its President. Dr. Cianciola shared his expertise and commitment to advancing periodontal technology and patient care at Monroe Community College, Rochester, New York, where he educated hygiene students on dental implants, periodontics, and taught hygienists the Local Anesthesia and Nitrous Oxide Sedation Certificate Program. The Dental Hygiene Society of the State of New York chose Dr. Cianciola for an award for “Outstanding Contribution to the Field of Dental Hygiene.” He is a member of the American Academy of Periodontogy, American Dental Association, Apollonian Dental Study Club, and Cianciola & Beach Periodontal Group Study Club. Dr. Cianciola spent 14 years helping run a study club for 45 dentists. In addition, he ran a study club for 250 hygienists. Dr. Cianciola resides in the town of Anthem, AZ, finds pleasure in downhill skiing, cooking, and golfing. John and his wife Lesley have a four year old son, Luca. Dr. Robyn Call is a long time resident of the west valley and loves living in the bright and beautiful warm “Valley of the Sun”! She obtained her B.S. in psychology from Brigham Young University and then attended dental school at Midwestern University in Glendale, Arizona, which has one of the top clinical programs in the country. Dr. 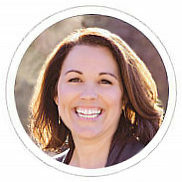 Call has been around dentistry for the past 20 years, helping to manage her husband’s dental practice, as well as participating in various dental business training’s until she was able to pursue her own dental degree. She considers herself a life-long learner, and is passionate about furthering her knowledge through training and evidence based research. Dr. Call has a gentle touch and warm chair side manner that enables her patients to feel confident about the care they are receiving. She is excited to be a part of such a fantastic team here at SC Dentistry where patient care is the priority.